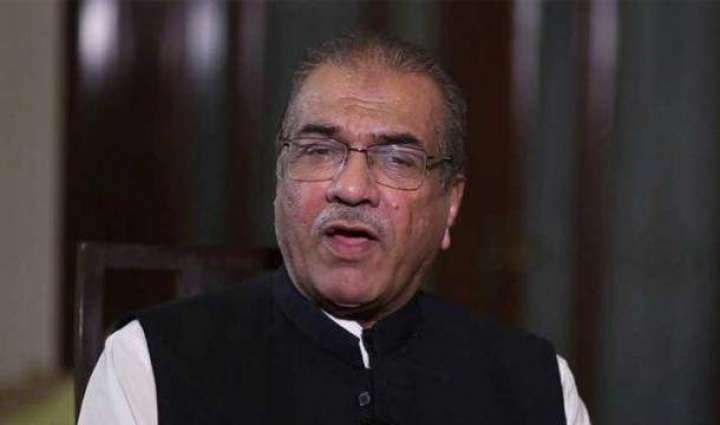 TV anchorperson and journalist Mujeebur Rehman Shami, during his talk show on a private news channel, claimed that Imran Khan’s newlywed wife, Bushra Bibi, is “casting a spell” on former prime minister Nawaz Sharif because of which he is making mistakes. “She is a Peerni and she has control over Wazaif and she casts specific spells and I think because of these spells Nawaz Sharif is making mistakes repeatedly,” Shami said, adding that it seems Imran’s Khan road to success is being cleaned by Sharif himself. The anchorperson received backlash over his comments from Pakistan Tehreek-e-Insaf (PTI) leadership, including Jahangir Tarin and Aleem Khan. After the criticism, Shami retracted his statement in the next episode of the same programme, saying that he gave the statement about Bushra Bibi in a “lighter vein”. “I was not serious about it but still if anyone is hurt from my statement, I apologise for what I said and I take back my complete statement,” said Shami. He, however, said that the PTI leadership should also condemn the people who use derogatory language against opponents within their party.